The Elk Grove Police Department is now accepting applications for the next Citizens’ Academy, which begins on Tuesday, September 1. The Citizens’ Academy is a 13 week program designed to inform and teach interested residents about the various aspects of municipal policing. The program covers procedures from patrol and investigations, vehicle operations, arrest and control techniques, 911 communications, code enforcement and animal control. 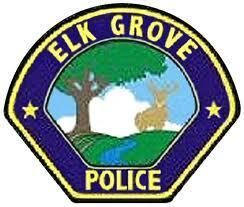 The Academy is free of charge and meets on Tuesday evenings from 6 to 9 p.m. at the Elk Grove Police Department. Participants must be at least 18 years of age, live or work in Elk Grove and have no felony convictions (a background check will be completed on all applicants before entering the Citizens’ Academy). For more information please contact Officer Jason Bolfango (916) 478-8115 or visit the Elk Grove Police Department website at www.elkgrovepd.org.